Understanding the challenges of corporate governance is central to our comprehension of the economic dynamics driving corporations today. Among the most important institutions in capitalism today, corporations and joint-stock companies had their origins in Europe during the seventeenth and eighteenth centuries. And as they became more prevalent, the issue of internal governance became more pressing. At stake—and very much contested—was the allocation of rights and obligations among shareholders, directors, and managers. 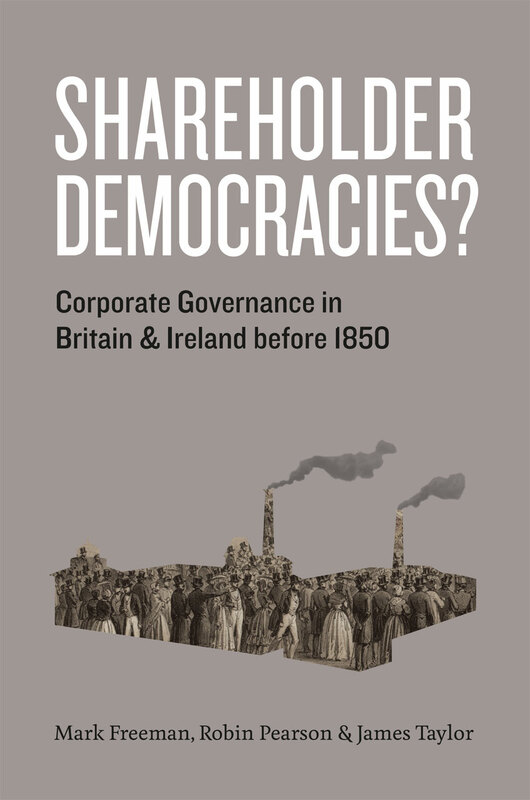 This comprehensive account of the development of corporate governance in Britain and Ireland during its earliest stages highlights the role of political factors in shaping the evolution of corporate governance as well as the important debates that arose about the division of authority and responsibility. Political and economic institutions confronted similar issues, including the need for transparency and accountability in decision making and the roles of electors and the elected, and this book emphasizes how political institutions—from election procedures to assemblies to annual reporting—therefore provided apt models upon which companies drew readily. Filling a gap in the literature on early corporate economy, this book provides insight into the origins of many ongoing modern debates. "It is a remarkable fact that the years that saw the Industrial Revolution flourish in Britain were a time when British company law was relatively unfriendly to the needs of many entrepreneurs. Does this mean that British law and politics didn’t matter? Analyzing the impact of these forces requires an understanding of how firms were actually organized, and how the legal framework within which they operated shaped their development. . . . This is exactly what Mark Freeman, Robin Pearson and James Taylor have done for Shareholder Democracies? . . . A valuable contribution to the study of the history of the company in Britain." “Shareholder Democracies? rests upon an impressive empirical foundation enriched by the authors’ extensive acquaintance with business historiography. Through explication of many nuances and fine distinctions of company policies and practices across Ireland, Scotland, and Britain, Mark Freeman, Robin Pearson, and James Taylor address fundamental issues of internal distribution of power in companies, in particular the practical, bureaucratic, and legal divergence of managerial control from shareholder rights especially evident in large companies." “Much ink has been spilled on the corporate governance of modern enterprises; it is refreshing, therefore, to read this important historical contribution to a contemporary debate."